Get ready—the evolution is coming. Microsoft today announced at the Tokyo Game Show that the New Xbox Experience, a transformation in home entertainment, will launch on Wednesday, November 19. On that day, more than 20 million Xbox 360® owners worldwide will experience a completely new Xbox 360 that’s fun, social and simple to use—and puts more entertainment at their finger tips than any other device connected to the TV. Get free games with your new console. 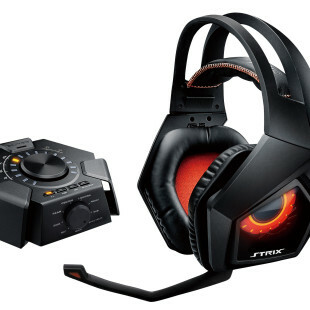 Not one of the millions who already have Xbox 360 at the heart of your family room? No problem. Microsoft also announced that beginning this month, buy any Xbox 360 video game and entertainment system, and games are included free. It’s now easier than ever to get the most affordable next-generation console and some of the season’s best and broadest games. For an estimated retail price of $199, the Xbox 360 Arcade Holiday Bundle comes with six free games, including SEGA Superstars Tennis™ and five Xbox LIVE® Arcade games. 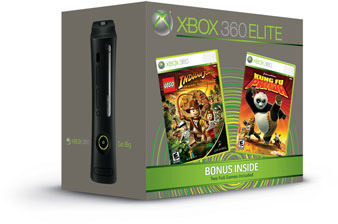 Additionally, the Xbox 360 console ($299 ERP) and Xbox 360 Elite ($399 ERP) Holiday Bundles pair the consoles and the promise of the New Xbox Experience with two amazing games: LEGO® Indiana Jones™: The Original Adventures and Kung Fu Panda™ at no added cost. LIVE Parties: Xbox 360 is the only device that allows you to create a virtual party on your TV with up to seven friends. With LIVE Party, voice chat while you play games, share photos real-time, and entertain friends all over the world. Personality plus: Create a customized, animated Avatar and literally jump into the world of Xbox LIVE. Your Avatar is your game-face throughout the New Xbox Experience and represents your personality—whether you’re a LIVE Party host or chatting with a friend. With custom Avatars created by the more than 14 million members worldwide, Xbox LIVE will have as many Avatars as Tokyo has residents. On-demand entertainment: Xbox 360 is home to the best TV and movie entertainment, including more than 12,000 exclusive films and TV episodes from Netflix, and the world’s largest online library of on-demand high-definition TV shows, plus hit movies from partners like Warner Bros., Starz, NBC, CBS, Constantin, MGM, and Disney. Games for the community, by the community: For the first time in the history of console gaming, thousands of games developed by the creative community will be available to the public. The Community Games channel on Xbox LIVE will include games made by students, hobbyists, and average Joes all around the world and will be exclusive to Xbox LIVE. In addition to the entertainment without limits that comes courtesy of the New Xbox Experience, Xbox 360 also has the best and broadest Xbox 360 entertainment lineup of games ever. Whatever your passion, Xbox 360 has games for you.